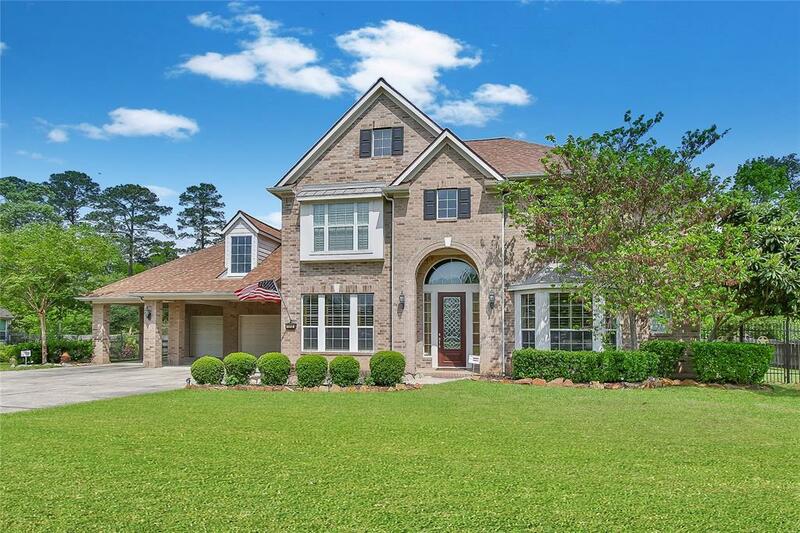 Elegant, livable and comfortable home in gated community. Equally suited for family living and entertaining. Painted tastefully but neutral tones for any style. Wood floors make the living area stunningly warm and inviting. Huge kitchen with upgraded SS appliances, 42" cabinets, granite, island and desk. HUGE covered patio downstairs with outdoor kitchen. Upstairs deck outside game room enhances wonderful entertaining possibilities. Small bar in game room as well. Bedrooms all great sizes with ample closet storage. 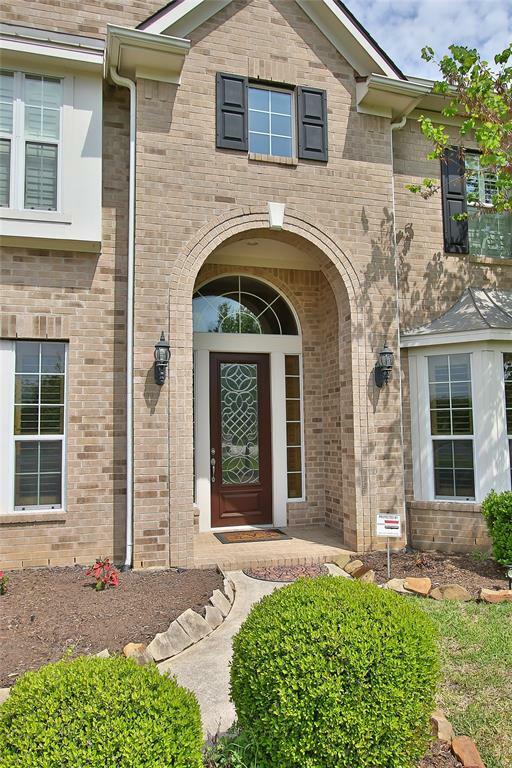 Master retreat will delight you with plenty of storage and closet space. Three car garage with 3 car porte-cochere makes parking a breeze for all the vehicles in your family. 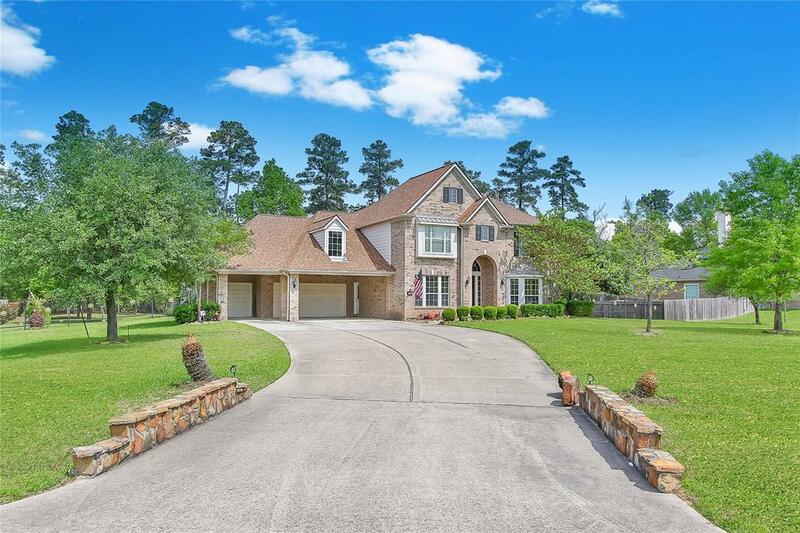 Situated on one acre estate lot with tremendous trees and no back neighbors. 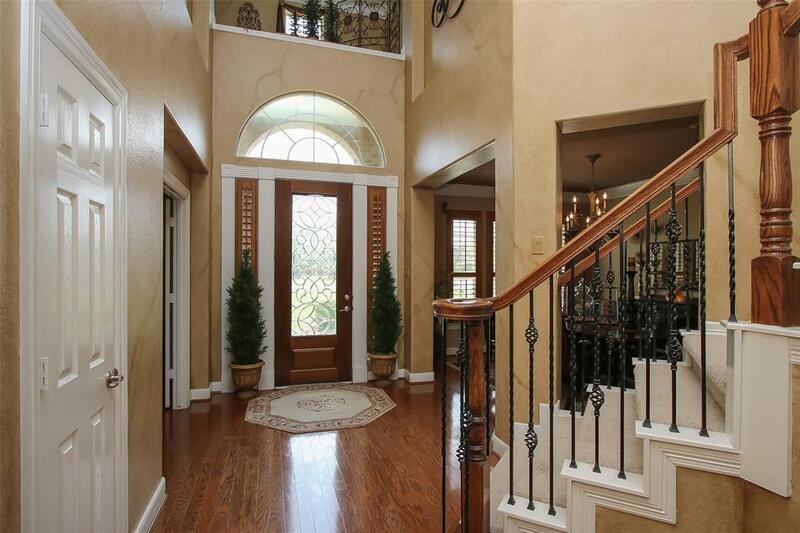 This home is a gated haven just minutes away from shopping, schools and easy access to everywhere. You will be sad if you miss this one! Welcome HOME!